Daniel Michael Lavigna M.D., a 62-year-old Tarzana doctor and an experienced pilot, died Sunday, Nov. 2, 2003, at about 3:55 p.m., when he crashed his vintage 1953 trainer into the Mint Canyon Mobile Manor, a mobile home park at 16408 Sierra Highway in Canyon Country just north of Sand Canyon Road (next to Mint Canyon Elementary School). A crater was left where the family home of Paul and Teresa Hemingway once stood. Luckily the Hemingways and their two children, ages 9 and 5, weren't home, although the family dog and their son's pet parrot perished. Two to four other mobile homes (depending on the news report) were destroyed in a resulting fire. One person on the ground was transported to a hospital with unspecified injuries. Lavigna, an anesthesiologist with the Encino-Tarzana Regional Medical Center and a director of the Classic Jet Aircraft Association, left Van Nuys airport without filing a flight plan and had told his wife he was going to do some practice maneuvers near Agua Dulce, and then return to Van Nuys. "He was going to do aerobatics, fly around, and come back," according to the accident report. His plane was a two-seat Canadair CT-133 Mk. 3 Silver Star, the Canadian version of Lockheed's T-33 Shooting Star jet trainer, built for the Royal Canadian Air Force under a 1951 contract with Lockheed. The primary training aircraft for fighter pilots of the day, Canada's version was powered by a Rolls-Royce Nene 10 turbojet engine. Above (both): Lavigna flies his CT-133 Silver Star at the Camarillo Airshow on Aug. 23, 2003. Photos: Goleta Air & Space Museum. Some of the witnesses to the crash said the engine made a loud and erratic noise that got their attention. "The airplane was very low, just several hundred feet above the ground," according to the accident report. "The airplane turned and the left wing went straight up and down, and then the airplane turned upright. It went into a second left turn, but this time it went straight down. It seemed to spin, and the engine was loud the whole time. Witnesses said that the airplane looked symmetrical; they could see both wings and tip tanks." It was a fairly cool but rainless November day, averaging 49°F (max 56°). The National Transportation Safety Board determined the probable cause to be "the pilot's failure to maintain adequate clearance from terrain during low-altitude maneuvers." 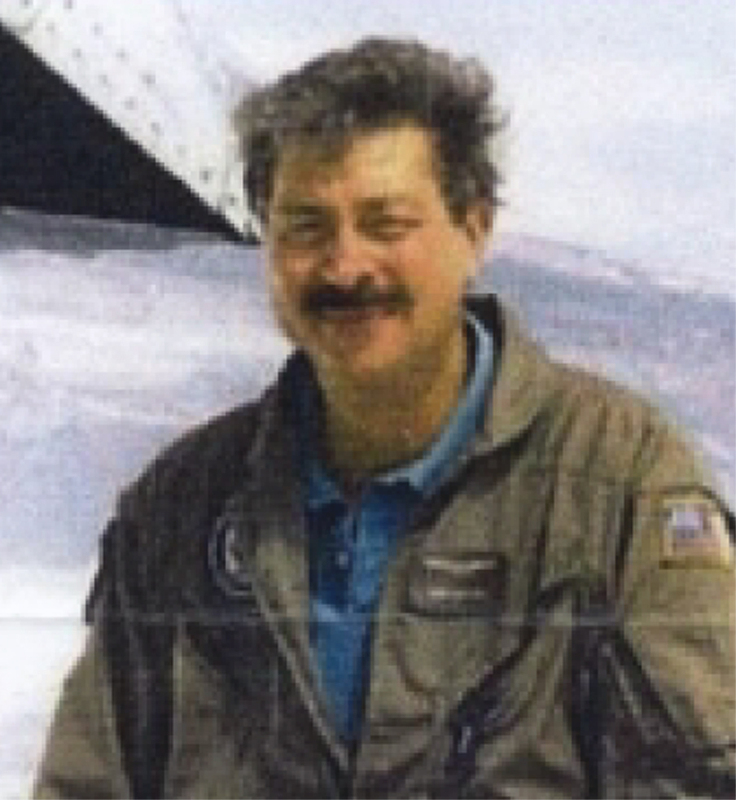 Less than three months earlier, Aug. 23, 2003, Lavigna had flown the same plane at an air show in Camarillo. Lavigna and his T-Bird or his Hawker Hunter, a 1950s British jet fighter, "could always be counted on to be present at the airshows around the Western U.S.," according to an obituary from the Experimental Aircraft Association. "It can be said without hesitation that this was his passion." "His 20 years flying experience included ownership of a Pitts, Bonanza, King Air and Cheyenne, and (he) was well versed in trans-oceanic flight, flying his airplanes to Europe and Hawaii several trips. Ten years ago he caught the jet warbird bug. … (H)he ferried two Hawker Hunters from Europe across the North Atlantic – solo." Lavigna left behind a wife and four children, including a teenager and a preteen who were still living at home in Tarzana. Born May 19, 1941, Lavigna completed his residency in the otolaryngology department at Ohio State University's Wexler Medical Center in 1972. Specializing in anesthesiology, he was one of the pioneer doctors at the Encino-Tarzana Regional Medical Center, which at the time of his death was owned by Tenet Healthcare Corp. It had two campuses, one in Encino and one in Tarzana; as of 2013, each (Encino Medical Center and Tarzana Hospital) is under different and separate ownership. The airplane collided with terrain during low altitude maneuvers. Witnesses heard the loud engine noise, which got their attention. The airplane was very low, just several hundred feet above the ground. The airplane turned and the left wing went straight up and down, and then the airplane turned upright. It went into a second left turn, but this time it went straight down. It seemed to spin, and the engine was loud the whole time. Witnesses said that the airplane looked symmetrical; they could see both wings and tip tanks. Some witnesses thought that the engine sounded erratic for a short while, but then noted that it was loud until impact. 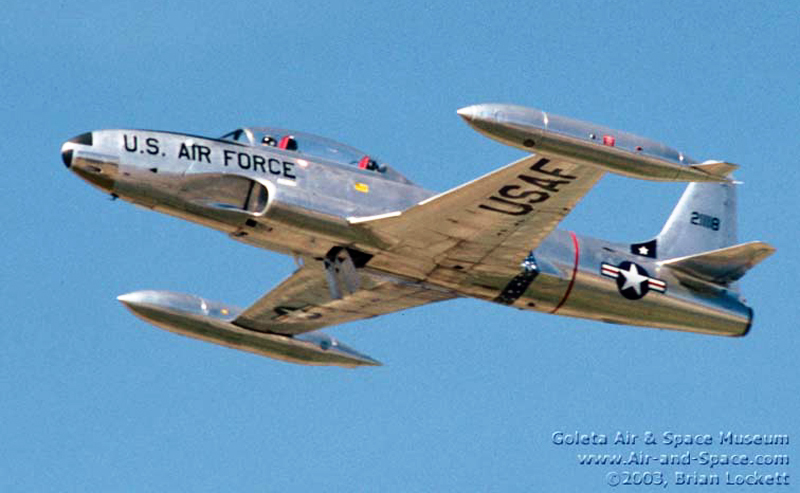 An experienced pilot in the T33 trained the accident pilot, and said that the pilot was very conscientious. The pilot would not always wear his G-suit, when they routinely practiced aerobatics. They would land at a nearby airport, refuel, and then return to Van Nuys. Another pilot reported that the pilot did not unpin all six ejection pins. He would pull the canopy pins, but not the seat pins. There was a pin on the floor on each side of the seat, and he normally left both seat pins in. The pilot had called his wife to tell her that he was going flying near the high desert practice area. He was going to do aerobatics, fly around, and come back. The airplane was highly fragmented, and investigators could not establish control continuity. The engine sustained mechanical damage, and displayed evidence of rotation under power at impact. The National Transportation Safety Board determines the probable cause(s) of this accident to be: the pilot's failure to maintain adequate clearance from terrain during low altitude maneuvers. On November 2, 2003, about 1555 Pacific standard time, an experimental Canadair T33, N99192, collided with terrain near Santa Clarita, California. The pilot/owner was operating the airplane under the provisions of 14 CFR Part 91. The commercial pilot, the sole occupant, sustained fatal injuries; the airplane was destroyed. The personal local flight departed Van Nuys, California, at 1547. Visual meteorological conditions prevailed, and no flight plan had been filed. The primary wreckage was at 34 degrees 22 minutes north latitude and 118 degrees 30 minutes west longitude. One witness was bicycling south on Sierra Highway. He heard a high wind noise, and then the airplane roared up really fast over him. It came southbound over his left shoulder about 200 feet above him. It continued south parallel to the Sierra Highway. As it came by parallel to him, he could see the bottom of the airplane. It was in almost a 90-degree bank to the left. It was not going down or diving. It was really loud like it had a wide open throttle. He stopped cycling. As the airplane went by, it continued to roll until the nose went low. He could see the whole airplane and it was symmetrical. It hit the ground about 4 to 6 seconds later. He lost sight of it just before impact due to stores and trees. There was silence just before impact; he heard no pops or booms. The terrain was level in the valley with hills to the left. Another witness heard a jet that was low. He couldn't see it because trees were in the way. He heard popping like a couple of little booms. He thought that there was trouble with the power. The airplane went by a tree and the engine went back to sounding strong. He saw the airplane with one wing pointed toward the ground. As he looked toward the sky, he was looking at the bottom of the airplane. The airplane was symmetrical; he could see both wings and tip tanks. When it passed him, he was looking at the belly, and it was running good. It went over a hill, and was gone for a long while when he heard the crash and saw smoke. A witness on Sierra Highway heard a loud engine noise, which got her attention. The airplane was very low, about 100 feet, and she ducked. She could see the pilot. It was coming from the other side of the highway at an angle. The left wing was straight up and down, and then the airplane turned upright. It went into a second left bank, but this time it went straight down. It seemed to spin, and she heard four big booms on the way down, which took 10-15 seconds. She saw the airplane for about 30 to 40 seconds. The engine was loud the whole time. Other witnesses confirmed that the airplane turned and continued to roll to the left until the nose was pointing straight toward the ground. It maintained this vertical attitude until ground impact. Most of the witnesses said the loud whine of the engine drew their attention to the airplane. They all said the airplane was within several hundred feet of the ground. The engine was loud until impact. Some witnesses thought the engine sounded erratic for a short while, and then it sounded like it was operating again prior to the roll to vertical. 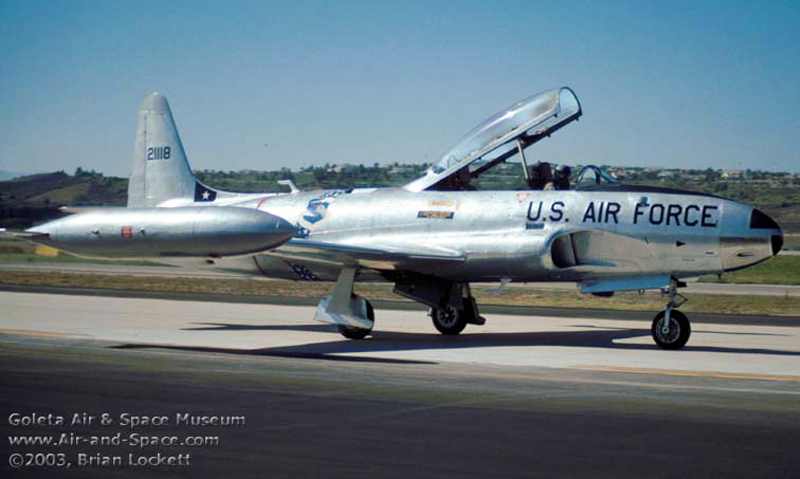 An experienced pilot in the T33 set up a training program for the accident pilot. It comprised a minimum of 8 to 10 flights. The syllabus included stalls, maximum performance maneuvers, aerobatics, approaches, and simulated flameouts. They had done spin training about 2 to 3 years ago. He said that the pilot was very conscientious. The pilot had restored the airplane; the cockpit was better than when the airplane was new. From doing his own maintenance, the accident pilot knew how everything worked. For their practice sessions, they would go to Mojave. It was about 30 minutes to the high desert practice area. The pilot would not always wear his G-suit, and they routinely practiced aerobatics. They would land at Mojave, refuel, and then return to Van Nuys. Another pilot reported that he had flown with the accident pilot several times. He knew that the airplane had an annual inspection about a month ago. Their first flight was 1/2 hour. The accident pilot briefed the ejection system every time; this included how to eject, and pointing out the safety pins and the ejection handle. There was one for the canopy actuator, one to blow the canopy, and two for each seat. He did not unpin all six pins; he would pull the canopy pins, but not the seat pins. There was a pin on the floor on each side of the seat, and he normally left both seat pins in. The right side pin held the handle down. From talking to the pilot's wife, he knew that the pilot had called her to tell her that he was going flying near Mojave. He would do aerobatics, fly around, and come back. The National Transportation Safety Board investigator-in-charge (IIC) and an investigator from Roll-Royce examined the wreckage. The airplane was highly fragmented, and the IIC could not establish control continuity. The centrifugal compressor was dual stage. There was a double entry impeller and rotating guide vanes. The engine had a single stage turbine. The engine sustained mechanical damage. The compressor exhibited mechanical damage. The forward side of the double entry impeller vanes bent opposite the direction of rotation. The forward steel rotating guide vanes bent in the direction opposite of rotation. The turbine shaft remained connected, but exhibited torsional twisting forward of the toothed flange that protruded from the turbine disk. The turbine wheel blades bent opposite the direction of rotation. The turbine rotating nozzle guide vanes bent opposite the direction of rotation. The turbine wheel case was crushed; it housed the engine accessories. The Rolls-Royce representative noted evidence of metal diffusion on the turbine blades and vanes. He stated that the shafting displayed continuity throughout the engine. He determined that the compressor impeller, turbine, and turbine shaft displayed evidence of rotation at impact.